Today I am going to share my personal experience and tips for introducing solids to baby. 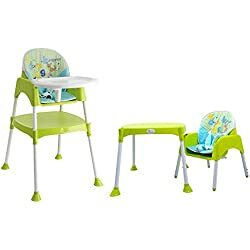 Is my baby ready for solids? When to start feeding baby solid foods? What to do if my baby refuses to eat? What if there is an allergic reaction or how do I reduce the risk of choking ? Well! If you are one of us starting to feed baby solids then read on 🙂 .. Becoming a mom is never easy. Giving life and raising these little ones is a very big responsibility. What every new mother should understand is that the baby has its own fist size stomach and their taste buds are yet to develop. My pediatric always told me that baby is an individual in himself and has its own preferences, likes and dislikes. Babies might reject food or get fussy about eating or get food allergies or infections if food is not introduced in a right manner and at a right time. So below is the list of tips that worked for me when I was feeding baby solids for the first time. Hope you find these useful. When should weaning start or when to introduce solids to babies ? Do not start feeding solids to baby before your baby is 6 months old, unless advised by your pediatrician. 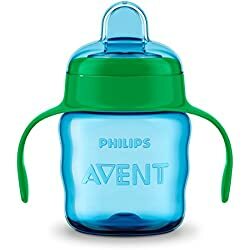 Mother’s breast milk is essential for the baby’s growth and immunity development thus weaning should be started only when your kids complete six months of age. Salt, sugar, cow’s milk and honey should be avoided at least till your baby is twelve months old. Avoid giving him artificial sugars as found in biscuits, cookies, cakes. Until your baby is one year old, for sweetness you can add natural sugars like fruits, sweet potato, dates (Khajoor) , raisins (Kishmish) or jaggery (Gud). If you are wondering how to introduce solids to a baby and the frequency of when to introduce new foods. Then the answer is introduce new food to your baby one at a time and wait for at least three days before any other food is introduced. This will help you in determining if you baby is allergic to any particular food. 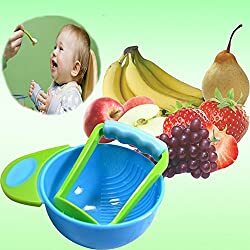 All the baby food utensils must be cleaned and sterilized before feeding. If baby is refusing to eat with a spoon, mothers can try feeding with their cleaned finger at first and then introduce spoon slowly. 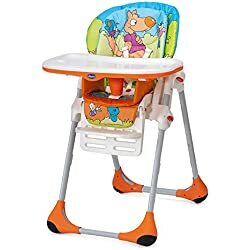 Once your baby is 9 months old, you can buy him a feeding chair and let him touch the food, feel the texture and if needed give a spoon in his hand. Experimenting with the food helps them develop a positive association with the food. And believe me its easier to clean up rather than have a toddler who does not eat! 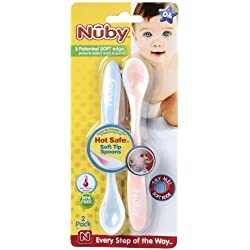 Before serving your baby always make a habit to taste the food for its temperature and taste and make sure it is always fresh. Also, let your baby see you tasting the food as kids are naturally curious. They are more inclined to eat something if you are eating it in front of them. Every baby is an individual and has their own likes and dislikes too. So never force on baby what to eat and how much to eat. Their taste buds are developing, let them experiment. Forcing babies to eat may build a negative association with food which could be harmful. Try to introduce foods of various colors and different textures. Remember it takes time to develop tastes. So if your kid does not show interest today then you can try again few weeks later. May be he is rejecting food due to teething trouble. So as a rule keep on re-introducing those food again later. Try to establish a routine and ask – ‘Are you hungry ? and then feed your child. It is important for kids to understand that they need to eat when they are hungry. Avoid engaging them in an activity when you are feeding them. If you want you can give them another spoon while you are feeding them one spoon. 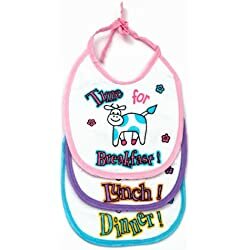 This not only keeps them engaged but also encourages them to eat on their own. Avoid foods like nuts as they could be a choking hazard. If you are introducing some new food that is big in size, then be around your baby. And be vigilant. Some of the foods that could be choking hazard are – nuts, grapes and popcorn. Remember to keep your baby hydrated with liquids – water, milk, fruit juices, green coconut water etc. If possible prefer fruits to juices. You may also want to read 5 reasons to introduce classical music to your baby.